Fishkill, NY (September 1st, 2015) Dr. Madeline Utterback and her staff today reaffirmed its commitment to fighting oral cancer through awareness, education and early detection by becoming a Silver partner of the Oral Cancer Cause (OCC). As an OCC partner, Dr. Madeline Utterback and her staff will support the not-for-profit organization's mission to improve the quality of life for oral cancer patients through financial support so that they may face the world with peace and dignity during and after medical treatment. Oral cancer is one of the fastest growing cancers in the U.S. and will be diagnosed in more than 40,000 Americans this year alone. When caught early, the survival rate can be as high as 90 percent. However, oral cancer is a silent and often aggressive killer that typically progresses without any physical symptoms. As such, more than half of the cases are not detected until later stages, when survival rates plummet to as low as 20 percent. "Dentists are the first line of defense against oral cancer. That is why we advocate for and provide our patients with bi-annual screenings", said Dr. Madeline Utterback. "Being an OCC partner lets us lend our voice to raising national awareness about this silent killer and educate patients on the life-saving potential of regular screenings." 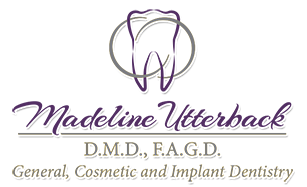 Dr. Utterback is a member of the Academy of General Dentistry, the American Dental Association, the Ninth District Dental Association and the Dutchess County Dental Society. She is a fellow with the Academy of General Dentistry and an ongoing member of the Spear Education Center. Her goal is to partner with patients to promote dental and systemic health with the emphasis on prevention and early intervention. She is devoted to continuing education, the integration of modern technology into her dental practice and delivering high quality comprehensive care in a gentle manner. Oral cancer is detected when an abnormal group of cells develops on the surface of the tongue, mouth, lips or gums. Less commonly, it can occur in the salivary glands, tonsils and the part of the throat leading from the mouth to the windpipe. When symptoms exist, they typically include one or more painful or painless mouth ulcers that refuses to heal, white or red patches over the inside linings of the mouth or tongue and/or a swelling within the mouth that persists longer than three weeks. Oral cancer screening is a short, painless exam during which the dentist examines the inside of the mouth to check for red or white patches or mouth sores. The dentist will also feel the patient's neck and the tissues in the mouth to check for lumps or other abnormalities. Some dentists use special diagnostics in addition to screen for oral cancer. "OCC dentists, like Dr. Madeline Utterback, take oral cancer and early detection very seriously. They share a belief that everyone should have a thorough bi-annual screening to ensure cancer is identified at its most treatable stage, and are committed to working closely with head and neck oncologists to provide optimal care and outcomes," said OCC President Linda Miles. "We are grateful for our partners' support, which enables us to raise awareness about oral cancer and, most importantly, to provide qualified patients and their families with financial help as they deal with the daily challenges of treatment."